Following the Year 5/6 Football Team's success at the Tandridge Inter-Schools Tournament. 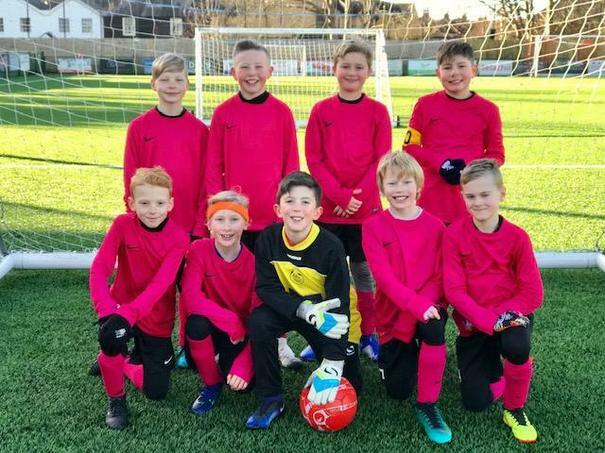 Tatsfield Primary School went on to represent Tandridge in The Danone Nations Cup Surrey Inter-Schools competition on 17th January at the Surrey FA ground in Dorking. The winning teams from all over Surrey were split into three groups. The competition was tough but the boys played extremely well going on to win their group. Progressing to the final three schools. They then played against the winners from the other groups. They drew against St Michael's but lost against Cheam Common - the only team to beat them in the competition, who now go on to represent Surrey at the South of England Regional finals. Huge congratulations to all the squad who really Aimed High and Achieved More a fantastic result. Thank you also to all the parents who came to cheer the team on.